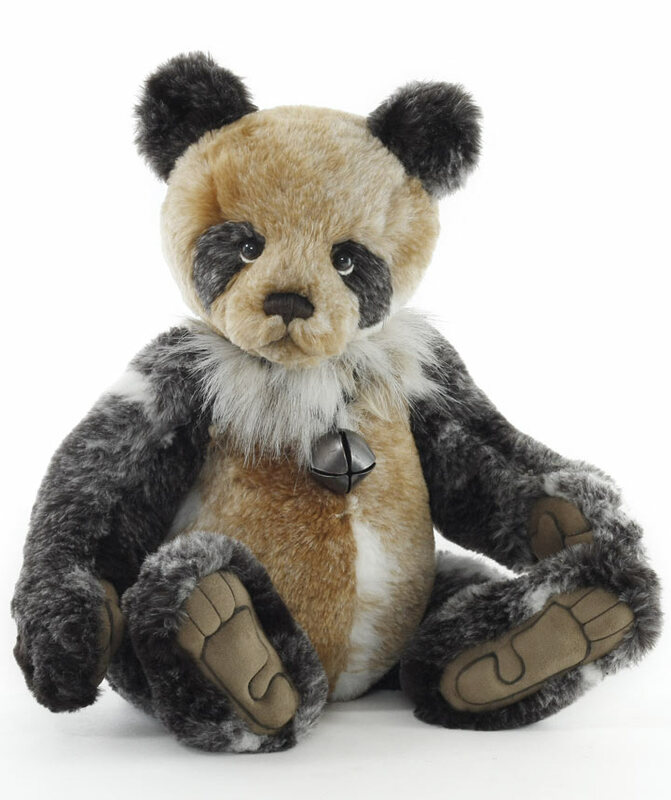 Adrian is a striking 20 inch panda bear with a five-way jointed body sewn from ultra soft plush. His fur is unique with blends of beige and white with dark brown mottled texture. 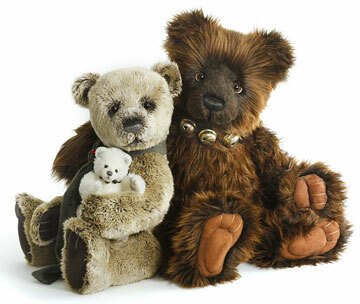 Long pile plush around his neck frames his beautiful face. 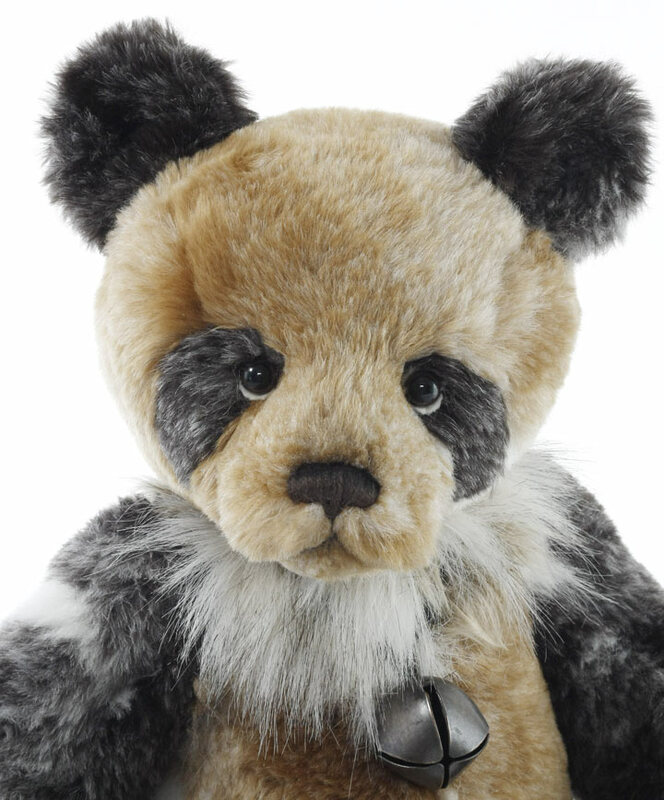 His lovable expression comes together with a perfectly hand-stitched nose, subtle airbrushing and the most friendly glass eyes backed with felt disks for an adorable 'who me' look. 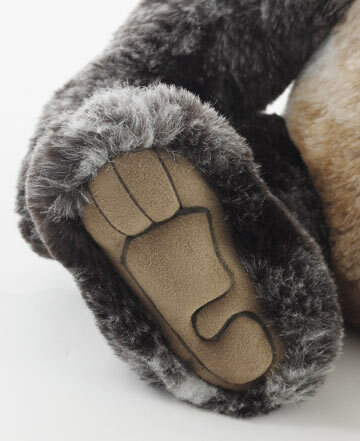 Adrian's ultrasuede 'tickly toe' paw pads feature embroidered claws, sculpting and airbrushed details. 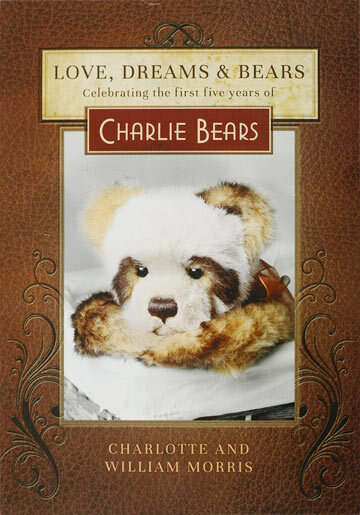 For the final Charlie Bear touch to this handsome bear, Adrain wears a beautiful bell on a cord necklace. 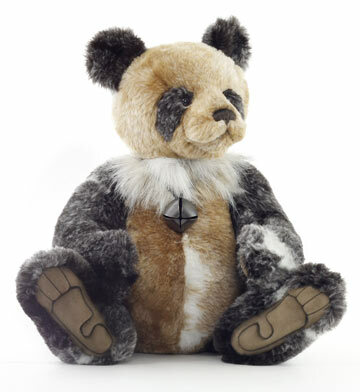 A very dapper bear to add to your collection. Adrian Panda CB181874 is part of the 2018 HAPPILY EVER AFTER Charlie Bears Collection. Suitable for ages 3 and up.